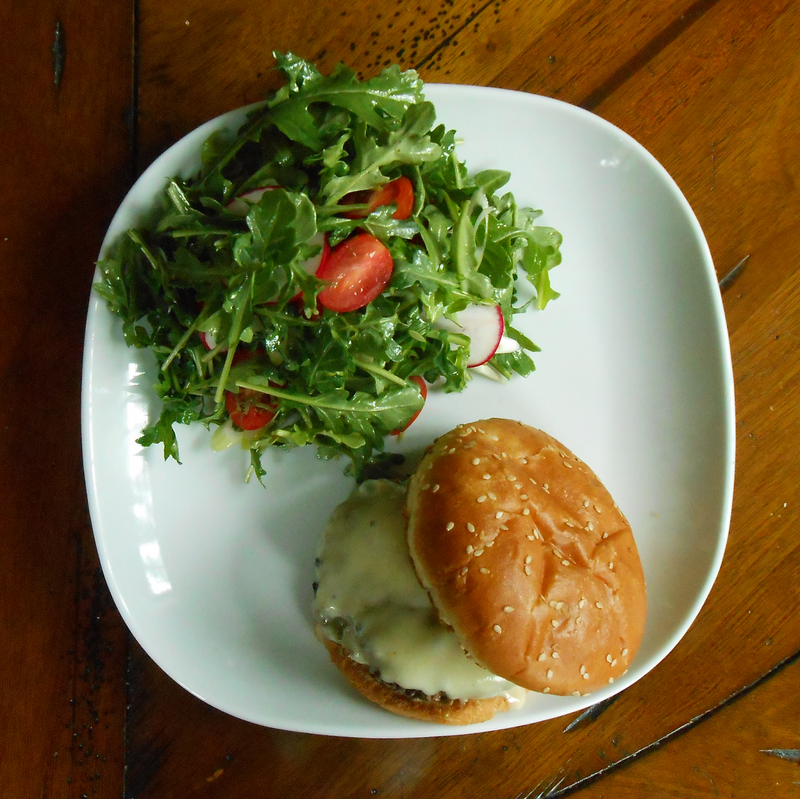 There are a million burger recipes out there forcing you to choose between easy or delicious. Want an easy burger? Buy some ground beef, shape it into a puck, and pan-fry or grill. It won't be awful, but the texture will be all tight and meatloaf-y. Want a delicious burger? Grind beef yourself into coarse coils and form the patties with great care, time, expense, and clean-up. These easy burgers are tender and juicy enough to satisfy any burger snob. The key is buying ground beef that comes loosely packed and not in direct contact with plastic wrap. If you buy ground beef that's pressed down into the package by plastic wrap, you'll inevitably end up with tight, mealy patties instead of the melt-in-your-mouth, fall-apart texture that makes for a memorable burger. When it comes to flavor, it's all about the crust. Using this recipe, by the time the sides are deeply browned, the interiors will be perfectly pink--a little past the medium rare we prefer for steaks but just right for juicy ground beef. 1. Divide beef into two portions. Loosely roll each portion to make a cylinder about 2" thick. Pre-squishin'. Note how the patties are rolled instead of packed so the coils of meat are aligned. 2. Heat skillet over highest possible heat. That thing should be smoking. Seriously. Turn on your fan. Open a window. Season burgers all over very generously with salt. 3. Add oil to skillet. As soon as it starts to smoke, add burgers. Press burgers down with a spatula to flatten them out until they're roughly the same diameter as your hamburger buns. Season generously with pepper. Sear until a light brown crust has formed on the first side, about 2 minutes. 3. Carefully flip burgers, making sure to scrape up any meaty bits from the bottom of the skillet. Lightly press down again so the second side makes full contact with the pan. Generously season again with pepper. Sear until a light brown crust crust has formed on the second side, about 2 minutes. 4. Carefully flip burgers again, being sure to scrape up any meaty bits from the bottom of the skillet. Sear until the first side has an even, deep brown crust, about 45 seconds. Flip and sear until the second side has an even, deep brown crust, about 45 seconds. 6. Let burgers rest on bottom buns for 1 minute. Top with cheddar and slide under broiler to melt cheese, about 30 seconds. Serve immediately with toppings of your choice (we like homemade pickles) and a green salad, or fries/chips if you want to go whole hog.